Feathers Lodge has been awarded 4 stars by the South African Tourism Grading Council, so guests can be assured of high standards and outstanding service at all times. The peaceful atmosphere is complimented by the committed personnel who will look after your every need. Trust us to turn your special wedding day into a magical event! We can offer intimate weddings for up to 30 guests. Tie the knot in our on site Chapel and have beautiful photos taken in our lush garden and courtyard. Get dressed in our Blue Crane Suite which will make you feel like royalty on your special day. Spend your honeymoon night right here in a room with a fire place, Jacuzzi, sparkling wine and a trail of rose petals will complete your romantic evening. If you require accommodation in Durbanville, we also have 20 double rooms with beautiful gardens and mountain views available for your friends and family. A warm welcome awaits you at Feathers Lodge! We offer privacy, tranquility and comfort. 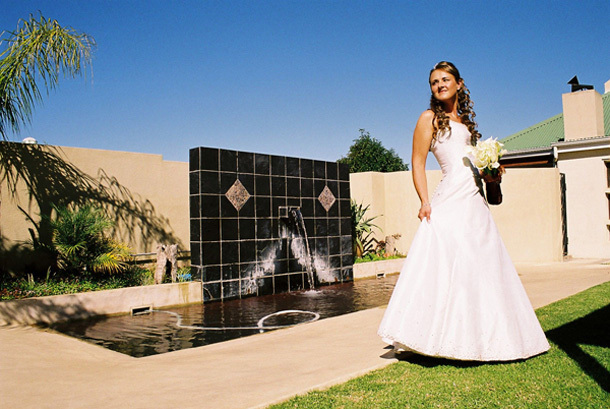 To book your wedding at this intimate wedding venue telephone the team on +27 (0)21 910-1078. 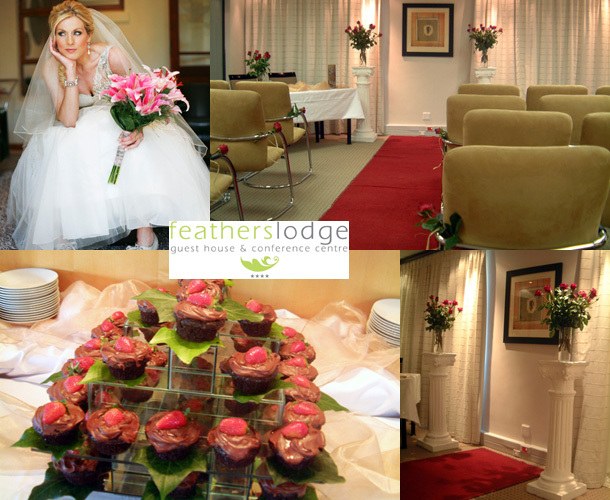 Alternatively visit Feathers Lodge to send an enquiry or for further details. Hi Genevieve, I think it would be best to contact the venue directly. You can do so by telephoning them on the contact number provided. Or you can click on the link and send them an enquiry that way. Happy planning!